The fourth novel in the bestselling Serpentwar series. The demon is no more . . . The enemy has been routed, yet peace still eludes the Kingdom. Midkemia lies in smouldering ruins following the Demon King's siege. And a new threat is arising from the ashes of war: the fearsome Fadawah, former Commanding General of the Army of the Emerald Queen. He has grasped the fallen reins of command and seeks to forge a personal empire out of the wreckage of the Western Realm. And so it falls to two young men - Jimmy and Dash - grandsons of the late Duke James, to gather the shards of the broken crown and resurrect the Kingdom to its former glory. 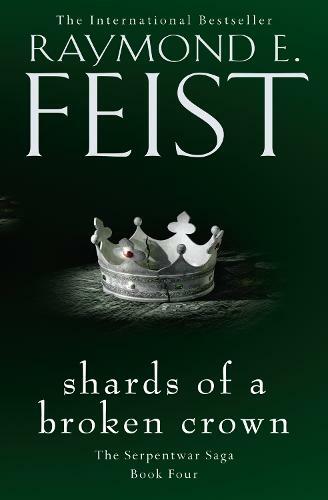 One of the world’s bestselling fantasy authors, Raymond Elias Feist describes himself as a ‘Southern Californian by birth and a San Diegan by choice’. A long-time role-playing game fan, Feist first created the landscape of his bestselling sequence ‘The Riftwar Cycle’ when at university, as a role-playing alternative to Dungeons and Dragons. Feist then decided to expand the universe in fiction, beginning with his 1982 cult novel Magician. Over several series and generations Feist has continued develop the worlds of Midkemia and Kelewan, creating one of the most thoroughly realised fantasy landscapes of all-time. Feist’s 2018 novel King of Ashes marks a departure from the Riftwar Cycle and is the first novel in the planned new trilogy, Firemane.